The wait is over. California Pacific, an airline that has been around for years in theory, has finally taken flight. The airline is currently operating… from Denver to the bustling South Dakota metropolises of Pierre and Watertown? That’s probably not what you expected, but don’t worry, there’s a reason for that. The airline will come to its new home in Carlsbad starting November 1. California Pacific has been nearly a decade in the making (or longer, depending upon when you think the quest actually began). Founder Ted Vallas is an old airline guy, and I mean that in two ways. He was an airline guy years ago when he founded Air Resorts, and also, he’s just really old with 97 years under his belt. Ted has been the driving force behind the effort to bring short-haul air service to Carlsbad in north San Diego County. Carlsbad is in a prime location in a heavily-populated, wealthy part of north San Diego County. It’s about an hour south of John Wayne Airport and 45 minutes north of San Diego Airport… in no traffic. The problem is there’s always traffic, and so travel to those airports is time-consuming and frustrating. Carlsbad has had sporadic air service over the years, most recently with a short, ill-fated effort by Elite to serve Vegas. Before that United Express flew Brasilias to LAX and US Airways Express had Dash-8s heading to Phoenix. None of that exists today The problem isn’t necessarily a lack of demand but rather a very short runway. Operational restrictions make it tough for airlines. When I first wrote about California Pacific in 2010, the airline was going to focus on business-friendly markets within an hour or so away. That hasn’t changed, but the road has been long. Things actually moved along quite nicely in those early days. The airline received initial approvals to begin operating, and it even acquired an aircraft. I went down to Carlsbad for a press event on the Embraer 170 in 2012. That aircraft was expected to be able to use the Carlsbad runway without too much of a weight restriction for those short flights. Being on that airplane, I figured that the airline might actually get in the air, but I was oh so wrong. The airline stumbled and couldn’t get through the certification gauntlet. It shed a bunch of people and looked like it was done. But apparently you can never count out Ted Vallas. California Pacific decided to regroup and realize that getting a new certificate was going to be far too difficult. It switched course. Earlier this year, California Pacific bought Aerodynamics, Inc (ADI). ADI has been around for a long time, but it ran into all kinds of issues a few years back when its owners got themselves into trouble. ADI had dabbled in a few different areas. Most notably, it entered into an agreement with Great Lakes to operate as Great Lakes Jet Express. Effectively, it would let Great Lakes sell its tickets, so it didn’t need to invest in a reservation system or marketing in general. It could at the same time take advantage of Great Lakes’s interline relationships, or so it thought. But then… Great Lakes tanked. Even though Great Lakes was gone, Jet Express continued. But it was an airline with a limited and shaky model. Enter California Pacific, an airline in search of a certificate. When the purchase was completed, California Pacific announced that it would rebrand all existing service under the California Pacific name. That “existing service” is the lone route from Watertown to Pierre and on to Denver and back twice a day. ADI has 4 ex-Chautauqua Embraer 145s and that airplane is going to be put into service in California beginning on November 1. And that’s what we know today, so… what do I think? I think it’s going to be an uphill battle. San Jose is the market with the best coverage, and you can actually do an easy day trip there. But Southwest has 12 daily flights from San Diego and another 10 daily from Orange County. If your trip happens to fit with the schedule California Pacific has, then great. But chances are that it won’t, and there’s little chance you’ll go one way from Carlsbad and the other to San Diego or Orange County. The other markets are even worse. Phoenix at least has a flight every day, but it’s during the afternoon (on weekdays, at least)… and oh, it’s not Phoenix. The airline is flying to Phoenix/Mesa. That’ll be a great flight for people who need to be in the East Valley (Mesa, Gilbert, etc) , but it’s less convenient than Phoenix Sky Harbor for most everyone else. The Vegas schedule is really odd with nothing on the peak days of Friday and Sunday, but apparently the airline sees more opportunity flying the airplane to Reno on peak days for Tahoe traffic. It looks like California Pacific is scheduling less around customer demand and more around what works with the aircraft’s schedule. I understand you need to balance that, but lacking a great commercial schedule is going to really hurt its chances. Fares aren’t overly attractive either, at least not in advance. I see San Jose and Vegas for $99 each way, Phoenix/Mesa for $129 each way, and Reno for $149 each way. Then again, there appears to be no a la carte pricing at all. Fares include at least one free bag and you can reserve seats (even exit rows) without additional charge. In the end, this will be a tough fight for the airline despite it having a nice niche at an attractive airport nobody else currently serves. Even with 10 planes and a better schedule, California Pacific still couldn’t serve every need of the north San Diego County traveler. Yes, it has the advantage that Southwest can’t come into Carlsbad with 737s, but that doesn’t mean Southwest won’t get aggressive at wooing people from even thinking about trying California Pacific, if it deems the effort necessary. I wish the airline luck, and I hope I get the chance to fly it sometime. But I’d be lying if I said I think it has a good shot at success. 31 Responses to California Pacific Will Fly November 1, But For How Long? Sounds like a business model similar to the model that Ultimate Air Shuttle uses out of Cincinnati might work for flights from Carlsbad… If you can move business people 300-500 miles in the morning and get them home in time for (a late) dinner, saving a night in a hotel and a few hours of travel time each way, that’s worth a premium to many. It looks like that is what California Pacific is trying to do with the San Jose route, but as you said, the schedules for the other routes don’t look very attractive at all. hard to see such short flights making money as lots of downtime and gas burning taxiing. It is even worse if the customer has to clear security, and potentially rent a car at the other end. At the same time, many frequent travelers will be drawn to big carriers (if available) for loyalty program and status. So finding the balance between being cheap enough to convert people over driving, a good enough experience to draw from other carriers, and being profitable is a tough nut to crack! Hard to see a 1x daily flight being that attractive to business people who are willing to pay a fare premium. I agree completely. I did a ton of day travel between AUS and DAL. Even renting a car in AUS, about half the time, it was still worth it. I used WN pretty much exclusively, with a few exceptions even though I live closer to DFW than DAL. The schedule was the thing. I could end early or late, and not worry about it, WN had another flight. Summer storms? No problem, more flights. Capacity? A lot of 140ish seat 737s going back and forth. I never would have considered a carrier with only one flight a day. Just not worth the hassle. Then you throw in the loyalty, I earned Companion pass for several years on those flights. Totally worth it. At least in Carlsbad and San Jose, the taxi times are pretty quick and they are two airports that really don’t have issues with weather. So are the Watertown and Pierre flights going to remain? I mean, I feel bad for the folks in Carlsbad CA that have to drive an hour or two to SAN or SNA but by comparison they’re in a virtual buffet of airports compared to South Dakota. A – Yes they are. They just re-upped for another 2 years under Essential Air Service. Phoenix/Mesa is actually in a great location for those us who live in Chandler/Mesa and east of there (Gilbert, Queen Creek, etc). That’s likely about half of Phoenix/. Tempe is closer to Sky Harbor (which is basically downtown), and anyone in the West Valley would prefer Sky Harbor. I’m guessing they could also pick an airport on the west side (Glendale or Goodyear, for example), if they wanted to bracket Sky Harbor on each side. The thing I don’t get is not running flights on Sunday late-afternoon/nights back into PhoenixMesa. That makes doing a weekend getaway trip difficult…. To add to this, the catchment area that is closer to Phoenix/Mesa versus Phoenix Sky Harbor is easily 1 million people (Mesa, Gilbert, Chandler, AJ), plenty to support the only flight from Phoenix/Mesa to Southern California. The true question is whether the projected flight times & frequency align with customer demand. If the flight fails, it will not be due to choosing Mesa/Phoenix over Phoenix Sky Harbor. but, hey, there is another checkmark on the bucket list. CF: Having spent many years in an industry that relied heavily on market research, I’d be interested in a column from you on how airlines do market research on new or existing routes. Examining heavily traveled routes like New York to L.A., or Boston to DC are no brainers. But how do airlines research the feasibility of (hypothetically speaking) San Jose to San Antonio, Columbus to Kalamazoo or Albany to Altoona? As you say in this post, the logic is a mystery. Yet, I can’t imagine there isn’t some research justification, other than a wild idea in the shower on a Tuesday. Thanks. One way you can look at market feasibility is to examine DOT fare data, where you can back out what people are paying for connecting service. They also look at slightly more macro economic trends. In these cases, such as trying to siphon off established traffic elsewhere in the region, one may look at average wealth by zip code or something like that. But most of these ideas are pretty your wild idea in the shower on a Tuesday type of things. For some reason, aviation attracts a lot of hucksters, and investors with more dollars than sense. This business isn’t about carving out a niche with a scalpel, it’s about carving it out with a chainsaw. That is to say, if your business plan is really convoluted, or requires a lot of explanation and qualifiers, then forget it. There’s always exceptions, (such as Allegiant if you ask me) but aviation is an easy way to get broke quick. There is a methodology, but usually not as clear as you might expect. A lot goes into a new route, on both the demand and the supply side. On the demand side – talking to local businesses or customers is one way. Another is to look at the BTS data http://www.transtats.bts.gov/Tables.asp?DB_ID=111&DB_Name=Air%20Carrier%20Statistics%20%28Form%2041%20Traffic%29-%20All%20Carriers&DB_Short_Name=Air%20Carriers. It shows passenger counts travelling between cities and average fare paid. This can help give an indication of traffic flows. Are fares high or low? is there enough service or too high/low? Based on other similar cities or surrounding services, would a new flight attract more people to fly the route / steal share from connecting routes / steal share from competitors? How much will people pay in premium to fly nonstop over a connection? On the supply side, airlines need available assets. Are there planes available or are you replacing another flight? Can that plane serve that airport? (not weight, size, runway restrictions). Does it fit in an existing network strategy? (don’t want to create challenges for crew and plane flows). Does the airline already serve the airport? New cities are expensive — new staff, branding, IT, baggage carts, tow bars, etc. all add up fast. In the middle can be incentives from airports or cities to help fund startup costs. Marry those two and some “executive insight” and you get new cities…. Or maybe you just want to please a senator so you start a route to their hometown! Benjamin – I never worked on the planning side, so I can’t say I know all the specifics. But airlines look at any data sources they can get. I remember someone at a major airline telling me years ago that they evaluated new cities by driving around during rush hour and seeing traffic patterns. (That was just one data point.) There’s a lot that can be learned from a variety of things. But smaller airlines don’t have those capabilities. For California Pacific, this has been the plan since about 1980 or so in one form or another, so I don’t get the feeling that a ton of research likely went into it. If the airport can handle E145s and E170s, and if there’s apparently good logic to starting service here, why doesn’t it have service from RJs from the big three? LRK – Well, there has been talk of it, but I’m still not convinced these airplanes can go out full. I thought I read somewhere that California Pacific is going to reconfigure the ERJs to have 44 seats, though I could have seen that wrong. Either way, there aren’t really any regionals flying ERJs on the west coast these days. I’m guessing the CRJ has worse performance. The CRJ-700 was being flown by Elite from Carlsbad to Vegas, but I don’t know if there were operational restrictions on that. Also, where would they fly it? United dismantled the short haul flights into LA. It could go to SF, in theory. Denver is likely too far. American could do Phoenix, but most of the Phoenix operation is CRJ/CRJ-900, and I don’t know how well those work. Meanwhile, Delta could think about Salt Lake but even that extra flight time might be too much. I guess we really need someone who knows the real operational limitations there. My understanding is that the CRJ-200 lacks leading edge slats so takeoff performance is poor compared to the CRJ-700 (which has them), and that makes CLD a difficult proposition for the CR2. It could work. Driving along I-5 to get to from SAN or SNA to Carlsbad isn’t a fun experience and there is plenty of businesses close to Carlsbad and there is a ton near San Jose since that is in the middle of Silicon Valley. However, for it to actually work, they would need some more frequencies and some other intra-California routes that could draw business travelers, but aren’t going to compete with Southwest. Out there somewhere must be a couple of Fred Smith/Herb Kelleher clones/disciples who could start a National Coordinated Day-Trip Airline, short routes–300 miles or less–to/from/between mid-size, smaller, or just hard-to-serve communities. Not for connecting-type service (unless Fred Smith could show how that would be done for people). Very limited baggage service, prices fixed by distance, less than NetJet levels, but something around airline business class. One fixed type of aircraft, or something wholly interchangeable, business/first seating and service. 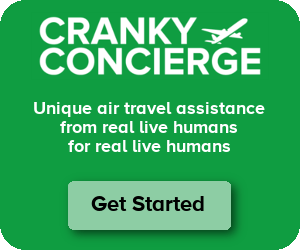 One fixed operator/concierge per airport. Clients basically corporates, professional people, doctors/med-types, university professors and admin., legal folks, not quite the top military, etc. Our roads and highways are never going to keep up with the needs, so get this air service going. One important thing that CP will need to do to get people on planes — and especially the business travelers: Show that you are reliable, honest and transparent! This particularly involves differentiating CP from Cal Jet / Elite. That airline regularly cancelled flights at the last minute (as I found out), and got on the news regularly for their string of broken promises to travelers, including to those who got abandoned in Las Vegas. Plus having management losing lawsuits in the TravelZoo fake-trip debacle and a recently-convicted felon as a director didn’t help. Best of luck to California Pacific, and I hope to actually board and complete a flight with them this year! Why is the certification process effectively impossible to obtain in the first place? It’s almost like someone in the FAA, DOT, or wherever they come from is in the pockets of the majors/existing airlines. It’s one thing to kill a new entrant through capacity dumping and/or predatory fares. But making sure they never even get a shot because the regulatory agencies have been bought off is a whole different story. Matt D – Over the years, the rules have just become more strict and the process has slowed down. I think it’s just government bureaucracy at its finest. But the old days of just buying a few old airplanes and then flying them around are gone. You need to be hugely capitalized to be determined to be fit. That’s just one of the measures. That’s a pretty obnoxious and uninformed opinion. The FAA can’t be “bought off”. Certs are not “effectively impossible to obtain”. The government has no horse in this race. Commercial flight in the US is the safest form of transportation in the history of mankind, including walking the sidewalk in front of your own house. Safety must be demonstrated, and it takes a long time and a lot of capital, end of story. Mesa Gateway? Ugh…. I used to fly to CLD all the time from PHX, it was a great market that had pretty good loads. I wish them the best, but I’m not driving 50 minutes out to Gateway when PHX is 10 minutes away. I hope they have some cash to burn through. This is interesting to me because of the ADI angle. They used to operate the Intel airline (sidebar, Intel has an airline with 6 ERJ145s). What happened? Brandon – I have no idea what happened to that. But ADI doesn’t appear to be involved. I hope CPA flies to Sacramento and San Luis Obispo in the future ?